"First edition published by Routledge 2004"--Title page verso. Why Love Matters explains why loving relationships are essential to brain development in the early years, and how these early interactions can have lasting consequences for future emotional and physical health. This second edition follows on from the success of the first, updating the scientific research, covering recent findings in genetics and the mind/body connection, and including a new chapter highlighting our growing understanding of the part also played by pregnancy in shaping a baby's future emotional and physical well-being. Sue Gerhardt focuses in particular on the wide-ranging effects of early stress on a baby or toddler's developing nervous system. When things go wrong with relationships in early life, the dependent child has to adapt; what we now know is that his or her brain adapts too. The brain's emotion and immune systems are particularly affected by early stress and can become less effective. This makes the child more vulnerable to a range of later difficulties such as depression, anti-social behaviour, addictions or anorexia, as well as physical illness. 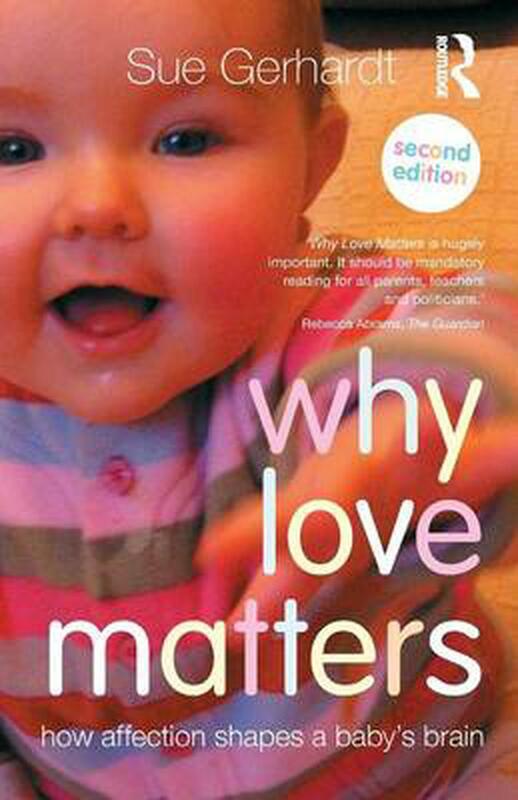 Why Love Matters is an accessible, lively, account of the latest findings in neuroscience, developmental psychology and neurobiology - research which matters to us all. It is an invaluable and hugely popular guide for parents and professionals alike. Dr Sue Gerhardt has been a psychoanalytic psychotherapist in private practice since 1997. She co-founded the Oxford Parent Infant Project (OXPIP), a pioneering charity that today provides psychotherapeutic help to hundreds of parents and babies in Oxfordshire and is now the prototype of many new `PIPs' around the country. She is also the author of The Selfish Society (2012). Acknowledgements. Permissions Acknowledgements. List of Figures. Foreword by Steve Biddulph Introduction to the Second Edition. Part One - The Foundations: Babies and their brains 1. Before we meet them 2. Back to the beginning 3. Building a brain 4. Corrosive Cortisol. Conclusion to Part 1. Part 2 - Shaky Foundations and their Consequences 5. Trying Not to Feel 6. Melancholy Baby 7. Active Harm 8. Torment 9. Original Sin. Part 3 - Too Much Information, Not Enough Solutions 10. `If all else fails, hug your teddy bear' 11. Birth of the Future. Bibliography. Index.